Well friends, I really stepped in it this time. Little Miss "I need a new challenge" decided to register for a half-marathon - The Brooklyn Half-Marathon. So here I am on week 9 of 12 training weeks, and you know what I've discovered? 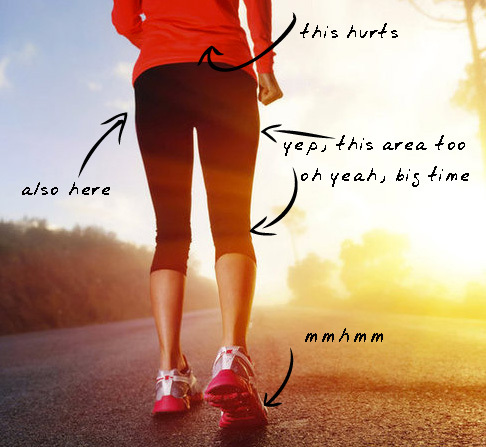 I HATE [distance] RUNNING! It's truly awful! It hurts. It's boring. It's cold outside! My toes hurt, my shins hurt, my knees hurt, my quads hurt...my pride hurts. And it's that wounded pride that got me into this mess in the first place. You see, in February, a cousin-in-law (is that a thing?) 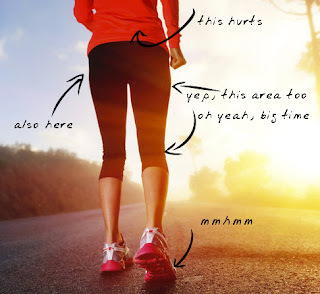 -- a super-in-shape, vegan, long-distance runner with a lean runner's body, cousin-in-law -- told me he highly doubted that I could complete a half marathon at my goal pace of 9:30/mile, given that I'm not a daily runner and that the longest I had ever run was 6 miles. Details, details. So...I set out on a mission to prove Cousin Joe wrong. And boy, do I regret it! I am NOT a distance runner. I don't get "runner's high". I dread the long run days. There is very little about distance training that I enjoy. Except the off days. I enjoy the off days. And the carbs. I love eating carbs. At this point in my training, I have completed two 10-mile runs (in addition to many shorter runs). One at a 10:30/mile pace. Shut your face, there was nine minutes of walking! The other at a 9:44/mile pace - no walking. Better. Obviously, I am not quitting. Though, I sometimes secretly hope I'll get the flu or break a bone so I'll have an excuse to bail. Not really. Maybe a little. Oh god, what have I done?! Okay okay, some good has come of this training. My cardio endurance has vastly improved. I'm really proud of my ability to run continuously for 10 miles. Even though I hate running, I love that I CAN. Three years ago, I couldn't run down the block. I have complete confidence that I'll run the entire 13.1 miles without walking (or dying). I'm actually very excited about the actual race. The grand finale of all this hard work. Plus a bunch of my friends are running, so that makes it even more exciting. 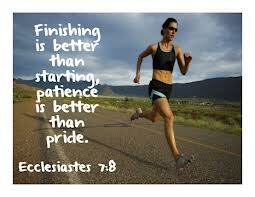 And I know, regardless of my pace, I'm going to be so proud of myself when I cross that finish line. And I can finally check "run a half-marathon" off my bucket list. Don't worry, "run a full marathon" was never on my list. I may be crazy, but I'm not stupid. See you at the finish line Cousin Joe!